Pioneer in the industry, we are engaged in manufacturing an impeccable range of SS Rotary Gear Pump. We have been a highly acclaimed name in offering best quality Rotary Gear Pumps. - Suitable for handling viscous or semi viscous liquids. 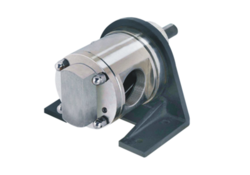 "He-Preduce" Gear Pump All ss-316/304 with direct ele. 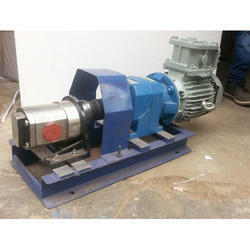 motor drive all ss pump with base plate with vibration bush for Application Chemical industries. Size:1/2" to 4" capacity:10 lpm to 900 lpm at Rpm 960.